Mike White is on his second season with Square One, where his approach involves helping clients be clear, crisp, and compelling, which translates to them crafting powerful and persuasive applications. 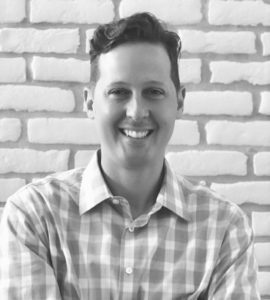 Mike’s 10+ year career in sales – helping companies achieve their missions by thoughtfully applying modern technologies - enabled him to develop the ability to connect with all types of people and build cases for all types of technology products. The capability to influence has been critical to Mike’s success – in his career and with his Square One clients. Mike has a Bachelor of Science in Economics from University of Michigan and an MBA from Chicago Booth. One of Mike’s favorite courses was a storytelling class at Chicago’s famous “Second City,” where he learned how to draw an audience into the story by creating an emotional connection. He regularly applies lessons from that course to his work at Square One. Mike is a huge soccer fan. He seeks out adventure whenever possible and loves being outdoors. What he cares most about is his family and hopes to inspire his kids to dream big, embrace change and attack challenges.